We’re excited to share an upcoming event for early-career professionals! 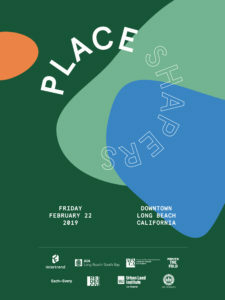 “Place Shapers” is a one-day gathering on February 22nd, where the next generation of professionals in planning and other related fields will explore the way we engage the public with our work. At this event, attendees will have a unique opportunity to discuss the way we create cities for people and network with their peers in a wide range of related fields. Registration is live, and is open to professionals throughout the Los Angeles region. Katie Rispoli Keaotamai, CEO of Ticco, will provide insight into our organization and our goals in hosting Place Shapers. Our keynote address will be delivered by Rudy Espinoza, Executive Director of Leadership for Urban Renewal Network (LURN) in LosAngeles. Rudy’s team at LURN has been integral in the campaign to legalize street vending in Los Angeles and California. He will dive into their journey and cover lessons learned in this major 2018 victory. Several public parking lots are located in the area. Event location is near the Downtown Long Beach Transit Gallery. Please note that the Blue Line Station will be closed, but Metro is providing shuttle service.